which also shows Teithfall-Tewdrig-Meurig (King of Morganwy)=Onbrawst (daughter of Gwrgant Mawr) as their parents which can the tie to Arthur who was their brother. 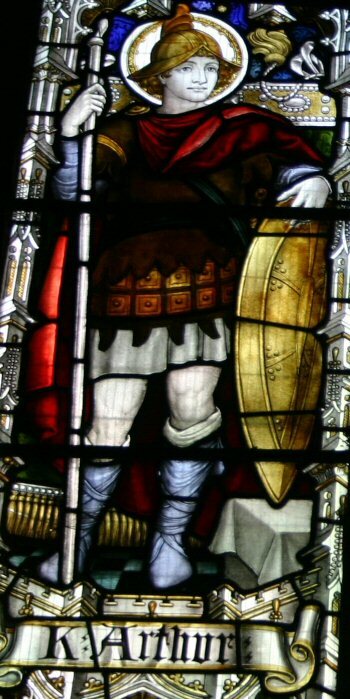 Many important saints were all related to Arthur by his sisters especially St. Samson of Dol. Bonedd y Seint 52: Deunawc Sant, [m. Medrawt], m. Kawrdaf, m. Kradawc Vreichvras. Bonedd y Seint 64: Peblic Sant yn y Caer yn Aruon, m. Maxen Wledic, aherawdyr Ruuein, ac Elen uerch Eudaf y mam]. 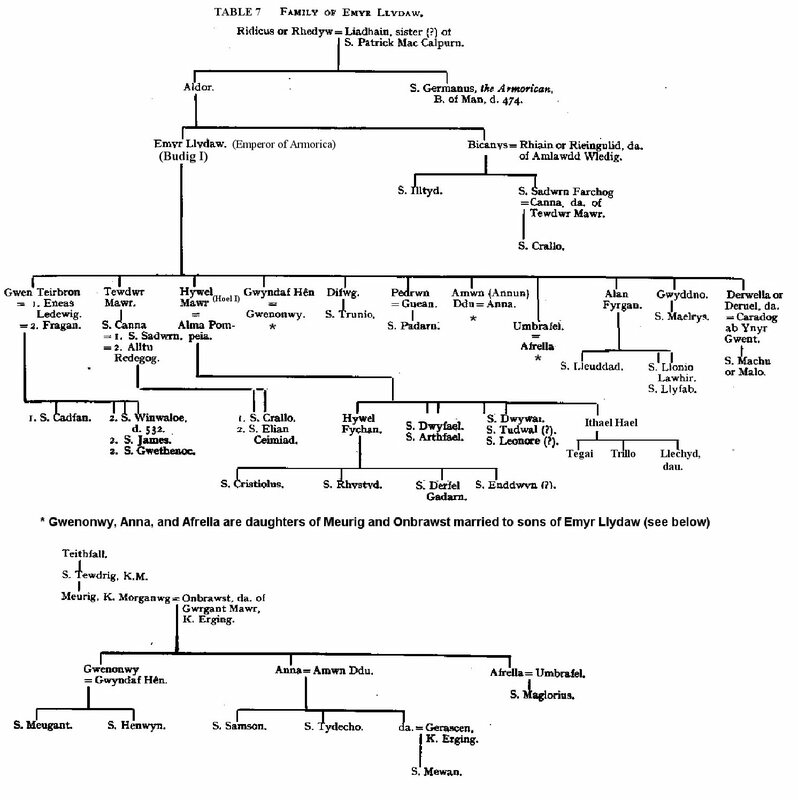 For the genealogy of Morgan, son of King Arthur, see The Source of the Book of Landaff.